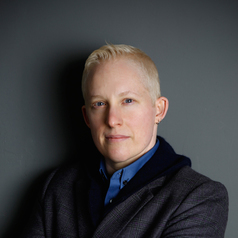 Tey Meadow is an assistant professor of sociology at Columbia University, where she teaches courses on gender and sexuality, queer theory, qualitative methodology, law, and the analytics of risk and uncertainty. Meadow is the author of "Trans Kids: Being Gendered in the Twenty-First Century" (University of California Press, 2018), and the co-editor of the volume, "Other Please Specify: Queer Methods in Sociology" (University of California Press, 2018). She has published essays in academic journals like Gender & Society, Politics & Society, Sexualities, Journal of Contemporary Ethnography, Transgender Studies Quarterly and multiple edited volumes.